Breckenridge Heights, Colorado–After weighing possible outcomes, administrators at Rocky Reef Hospital (RRH) always make terrible decisions. Case in point, last year’s firing of every doctor and nurse in the gastroenterology department in favor of leasing an endoscopy food truck. Potential saving evaporated due to expensive litigation detailing “Inadequate Anesthesia Provided by Truck Exhaust.” Clinical protocols are even worse, especially RRH’s safety first initiative requiring nurses to hourly co-sign normal saline infusions with the most senior resident available. Both administrators and clinicians at Rocky Reef share an affection for boxes connected by lines, so thankfully, new dilemma algorithms have revealed faster, more entertaining options to guide healthcare. Cost, evidenced-based care, politics, extended meetings, and the dubious morals of the CEO’s attractive daughter are no longer relevant factors in decision making. The first of these novel approaches is dodge ball. The rules are simple: Forty dodge balls are dispersed throughout the hospital. Sterile dodge balls are for the OR and artisanal, hand-crafted dodge balls reside behind the glass doors that separate upper level management from everyone else. If you get hit, your idea is out. If you catch the dodge ball another staff member throws at you, their last idea is nullified–or their next two decisions, if they are work in middle management and don’t have the capacity for frequent idea generation. 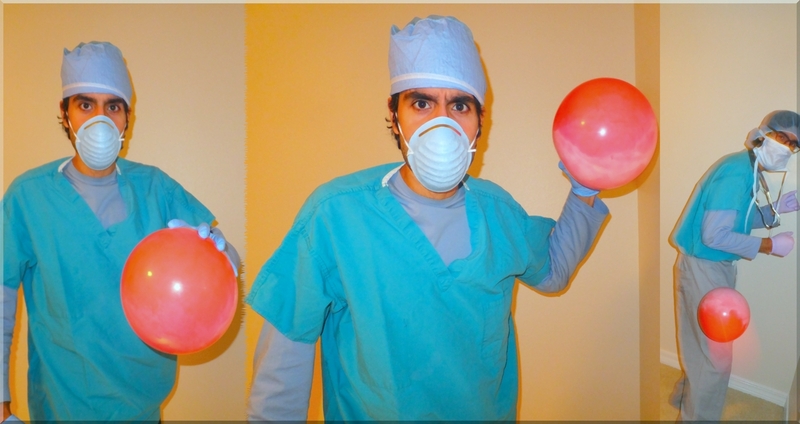 To avoid abuse of the new system, no dodge ball throwing is allowed while holding an organ to be transplanted or while transferring a patient with a BMI greater than 40 from the bedside commode back to bed. Despite these generous caveats, clinicians in clogs or found with their scrub shirts tucked in have been unfairly targeted. Also, the CT technicians are complaining about increased work loads related to scanning hospital employees to rule out subarachnoid hemorrhages from dodge ball strikes. Needless to say, morale has only increased for those with at least rudimentary physical abilities (and current Glasgow Coma Scores above 10). To level the playing field, alternative methods for planning out the work day are under consideration. Flipping a coin and seeing which side it lands on when it hits the ground won’t work, because the MRSA and necrotizing fasciitis inhabiting the floors of RRH tends to eat the heads and tails off coins before they can be retrieved. Nurses started rolling dice at the nursing station to divvy up the patient workload fairly–until Joint Commission decreed that dice rolling killed more nurses than even leaving drinks at the nurses station. Sure enough, anesthesiologist Mary Jones and nurse anesthetist Mohinder Ganja were paged from the break room to help retrieve a pair of dice from a nurse’s bronchi. If bronchoscopy revealed that the nurse had rolled a six through twelve, the patient in 301 would receive her bath before the patient in 302 received his pseudo Ativan/Reglan combo for his pseudo seizures and gastroparesis. “I can’t decide which narcotic to use on this case!” moaned Dr. Jones as she crumbled up a piece of paper with a dilemma algorithm. “That’s it!” yelled Mohinder as he stabbed the balled-up paper with his bandage scissors.